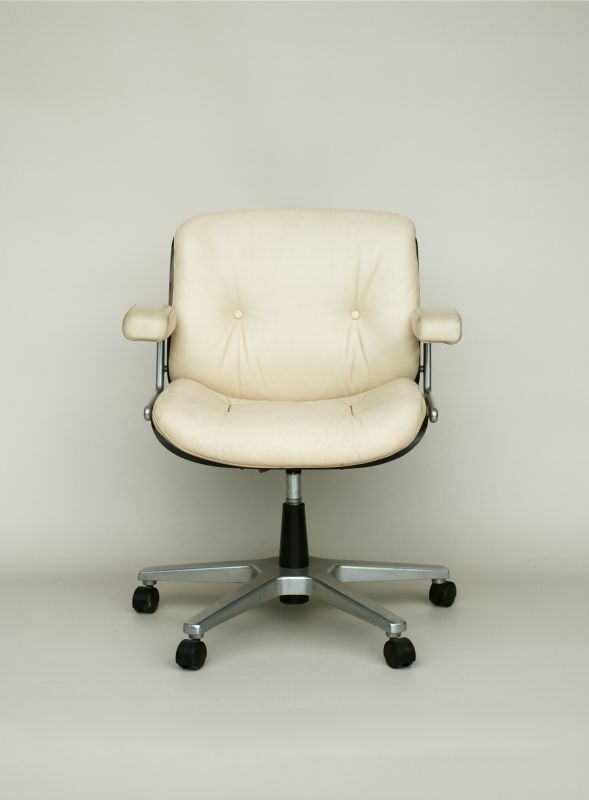 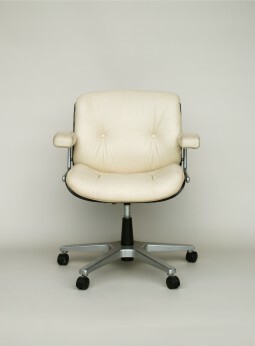 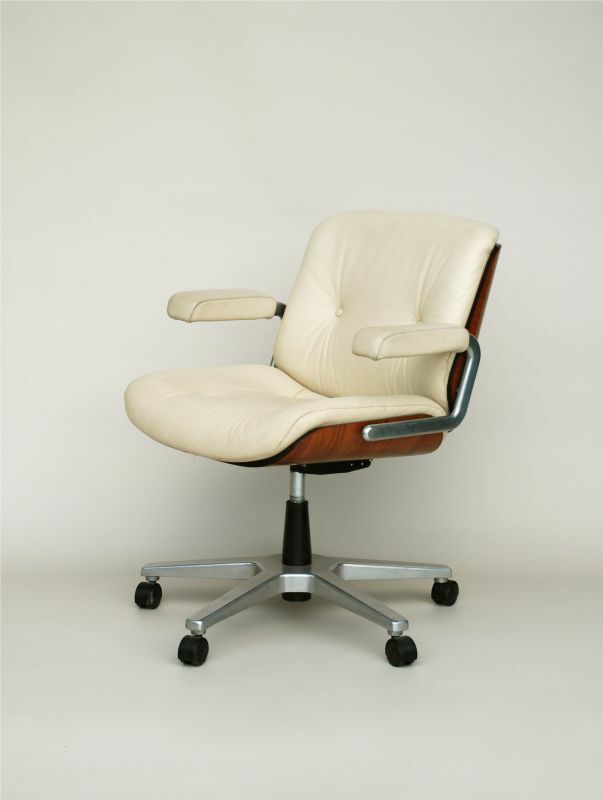 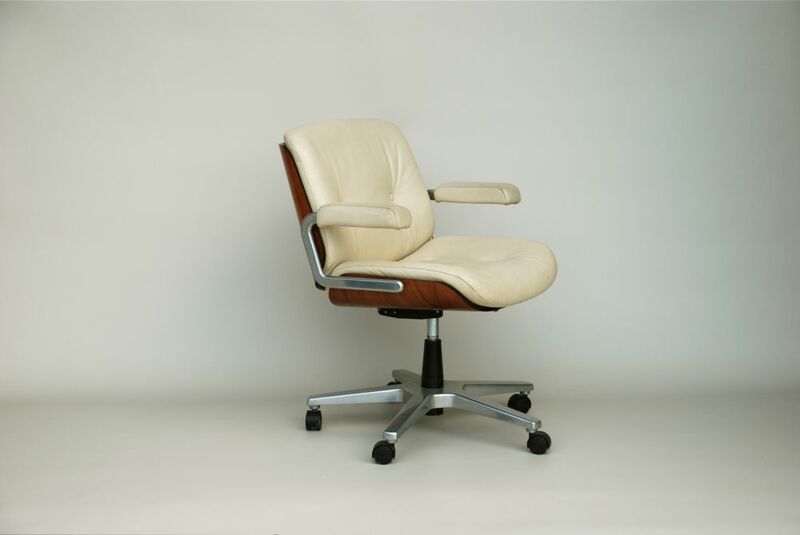 The same chair with black leather was used on the Parkinson Show in the 1970s. 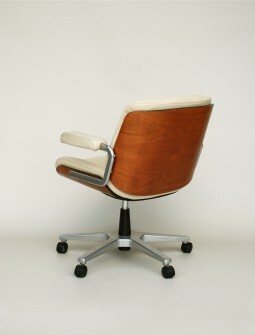 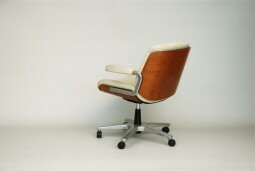 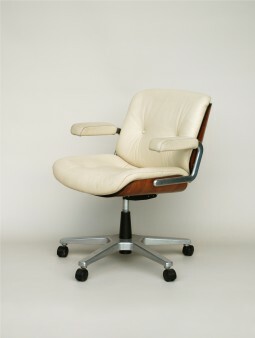 The design has similarities to the Eames lounge chair with its wrap around walnut back, and polished aluminium base. 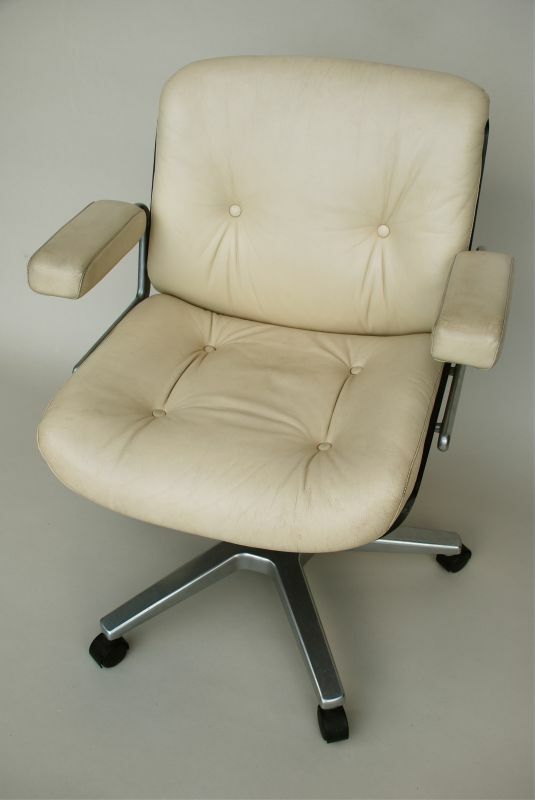 The leather is in good condition, it has a few marks, but has a good established feel to it. 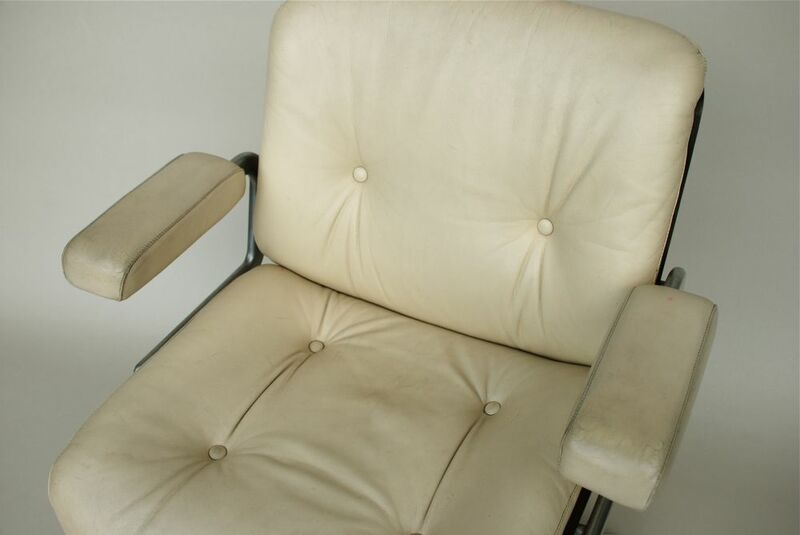 The seat swivels but does not rise. 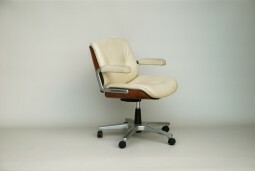 The measurements are 71 cm wide, 71 cm deep and 87 cm high. 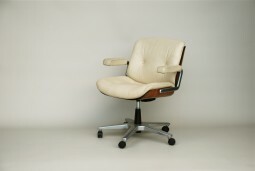 The seat is at 51 cm.